SOZU is the Japanese word for the art of imagination and creativity. Quite possibly, they serve the best sushi, not just in the gay 'hood, but in all of Fort Lauderdale. Thanks to The Manor opening across the street, the place is usually full (although that's not hard, as it is also tiny). I live in Miami, but on an art buying trip to Fort Lauderdale, it was recommended I try this place. I thought oh yeah, another average place serving raw fish. I couldn't have been more wrong. While they don't cook a lot of food in this small restaurant, what they serve is perfect. I'm also so used to Miami price and it was a pleasure to get the check that was very reasonable. Every time I go up to Fort Lauderdale, I now go here. If you love sushi, try it! There's a bunch of them in town, but this one is truly the best! All about intimacy and minimalism. same owner and staff of three & great sushi. All the tourists across st Galanga, while those in the know are at SOZO. Rainbow roll is amazing! So was the chef's choice sushi. Be hungry when you come because you won't want to stop. Really first rate sushi, good selection, very fresh. Also tried the spicy seafood soup- it was excellent and spicy as advertised with plenty of fresh seafood. Family run place in the heart of Wilton Manors. Snag a seat at the sushi especially if you are dining alone and they will make you feel very at home. There several places for Sushi around Wilton Manors, but I think this is my favorite so far. Only downsides is that there isn&#039;t much seating in this small family owned joint - was a bit pricey, but worth it. Try the Mangotango roll or the Sozo! This place beats nearby Galanga for sure. But it's a much smaller place and doesn't have any Thai offering as they mainly focus on Japanese sushi. Do you ever walk into a locally-owned restaurant out of the blue not expecting anything special and then WOW? That's what you get at Sozo; too many gay establishments in Wilton Manors are filled with pretentious queens. Let Mom, Dad, and Daughter of Sozo take care of you; they'll remember you everytime you come in! 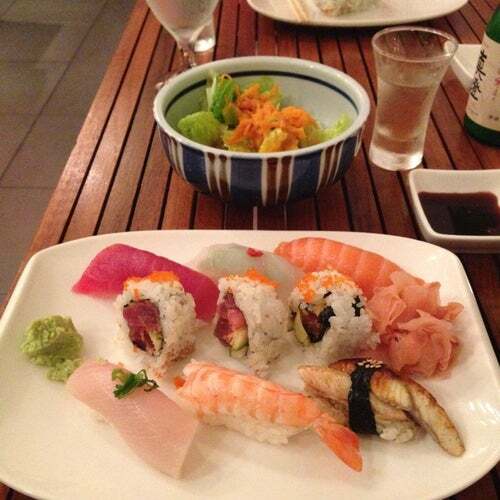 Simple menu, excellent sushi, great wine selection, cozy but modern atmosphere. Try the seared tuna salad with ponzu vinaigrette; YUM! This place has traditional style sushi with a modern twist. The food is excellent, flavorful and prepared well with a beutiful presentation. The atmosphere is inviting with a modernistic feel. The staff is very friendly! This place is a little bit off the 'beaten path' but within walking distance to the many other restaraunts and bars off Wilton Drive.